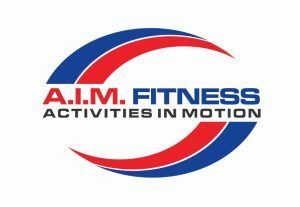 A.I.M Fitness is just one of the amazing vendors taking part in the 12th Annual Ottawa Health and Wellness Expo. Be sure to say hi the A.I.M Fitness team on Saturday, January 27th, 2018. Buy your tickets now! A.I.M. Fitness offers in-home personal training to people aged 50+ in the Ottawa area. Meg and Michelle, both certified personal trainers, travel to their client’s homes and provide gentle fitness programs designed to meet individual needs. Both trainers love exercising and being around people. They are unique in the way that they believe exercising should be FUN and EFFECTIVE. They provide enjoyable sessions including many laughs, education, and healthy nutrition options. Everyone wants to age well. When people move more, at any age, they benefit in all areas of their life. We help people build their strength, energy and mobility in simple ways, so they can enjoy their lives more fully. We specialize in working with people post-rehab, seniors, beginners or those presently sedentary, and those with medical conditions. We love seeing older adults live longer and safer in their homes. We love when our clients see improvements and can do things they didn’t think they could and experience more energy! We also love how friendships develop and how we can all learn from each other.